Are you struggling to lose weight? Have you been told to eat less and move more? The reality is… the solution to weight loss is not that simple. Obesity is a very complex disease and to complicate things further, everyone is different. We know that carrying excess body fat can cause a number of serious medical problems including diabetes, hypertension, sleep apnea, joint problems, heart disease and even cancer. For the first time in a century, our life expectancy is actually decreasing and obesity is a contributing factor. This hits close to home with Iowa ranking as the 4th heaviest state in the nation with an obesity rate of over 35%. At Iowa Weight Loss Specialists, we have a comprehensive team to help you achieve the results you are looking for. The team is led by Todd Eibes MD, FACS, who has been treating obesity in Iowa for nearly 20 years. One of our main goals is to overcome the stigma of obesity and weight bias. Being looked down upon because of a disease is wrong and unfair. At our clinic, you will find encouragement, support, and empathetic team members. Brooke Willey initially thought surgery was the easy way out for weight loss. “I wish anyone that is considering having this life changing surgery the very best, and embrace all the amazing changes you will experience! It’s not going to be easy, but it sure is going to be worth it! 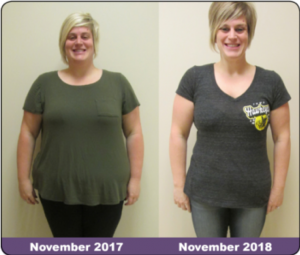 Treatment options at Iowa Weight Loss Specialists include both medical weight loss (non-surgical) and surgical weight loss. 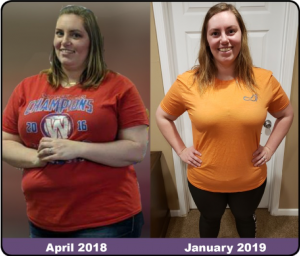 Weight loss plans are customized for every patient and include involvement of dietitians, behavioral health professionals, and exercise specialists. Research clearly shows that quick fixes and fad diets nearly always fail in the long run, it’s crucial to develop a lifestyle and treatment plan that is realistic and sustainable. Advanced tools are used at the clinic including metabolic rate testing, body composition analysis, along with the capability to draw blood for lab analysis. So which program is right for me? Bariatric Surgery is a proven and effective long term treatment for obesity. While past surgical options were invasive and came with increased risk newer surgical techniques, such as the sleeve gastrectomy, have complication rates similar to having your appendix removed. Complication rates at Iowa Weight Loss Specialists are exceptionally low following bariatric surgery. Our rate of having a leak from the staple line or a blood clot in the leg are both <0.1%. The surgery takes around 40 minutes and generally patients will stay in the hospital for one night. For most patients, minimal pain medicine is needed after surgery and they can return to work in 1-2 weeks. Dr. Todd Eibes has performed over 1,600 sleeve gastrectomies and provides free educational classes every week. In most cases, for patients who are 100 pounds overweight, surgery is the most effective option. Amy’s weight affected her confidence, but now she no longer feels down about her appearance. In addition to controlling appetite, the sleeve gastrectomy is also a restrictive procedure. Because 70% of your stomach is removed, it will help with portion control. Our Medical Weight Loss team is led by Registered Nurse Practitioners Alissa Kruger ARNP, and Jody Horstman ARNP. 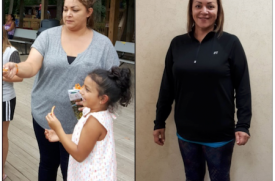 Our team will provide you with all of the tools, education and support you need in order to make the necessary lifestyle changes towards your weight loss goals. Our providers will monitor your medical conditions and work with your family doctor. They will review you medical history and your medications that may be contributing to your weight. Our team will focus on customizing a program that is right for you. It is crucial to develop a lifestyle that you can live with long term. We believe in a real food approach, teaching you to make healthy food choices for a lifetime. You will have accountability and access to the latest technology in weight loss. Our experienced providers can also use weight loss medications. Your visits are typically covered by insurance, meaning that you are only responsible for your co-payment. We do not have a program fee and you won’t be expected to purchase meal replacement shakes or bars. Medical or surgical weight loss is not a quick fix but an effective method for patients to lose weight and keep it off. It is the first step in a lifelong journey back to good health. To find out more, visit iowaweightloss.com and call the office at 515-327-2000 to schedule your first appointment.